Configuring your iOS(s aapl) device to take full advantage of the new iCloud services is resulting in confusion and frustration for many users. At the core of this confusion is the Apple ID. Understanding what your Apple ID can and can’t be used for on your iOS 5 device is crucial to working around any difficulties you may have. Do I need iCloud to use iOS 5? If you want the above features, you’ll need to associate an Apple ID with the iCloud service. Keep in mind that you don’t need to use the same Apple ID with iCloud that you use to make your iTunes purchases. You can create a new Apple ID just for use with iCloud, if you are sharing a family account for making iTunes purchases, for example. Also, if you are an existing MobileMe subscriber and aren’t in a hurry to migrate just yet, some of the above services like Bookmarks syncing and Find My iPhone will continue to work through MobileMe on your device running iOS 5, but you will need to consider migrating to iCloud sometime before June 12, 2012. You don’t have to migrate as part of the iOS 5 upgrade. Do I need a .me email address for iCloud to work? The simple answer is no. 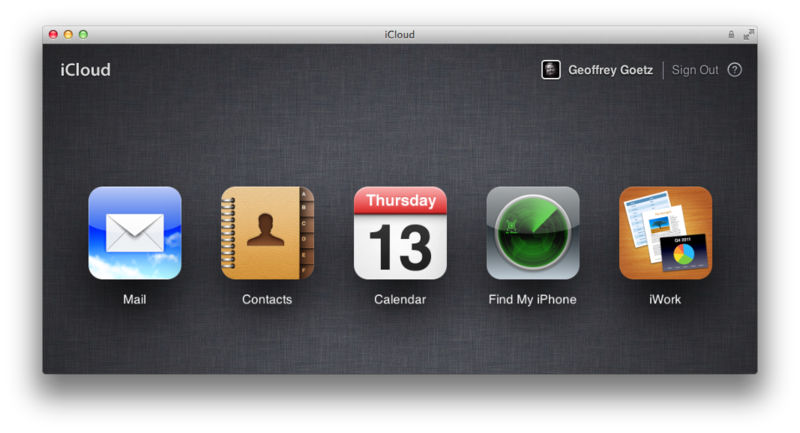 This may come as a surprise, due to the way Apple has crafted the configuration screens for iCloud. Mail, Contacts, Calendar and Notes are all part of the configuration screen for your iCloud services. It just so happens that I have an Apple ID that I created some time ago, using a yahoo.com address. I had no problem using this Apple ID to enable iCloud services on an iPhone running iOS 5. This also applies for other third-party email accounts (i.e., Hotmail, (s msft) Gmail, (s goog) etc. ), as long as they’re associated with an active Apple ID. On the surface, it appears I’m using my Yahoo (s yhoo) account with iCloud. But I’m not. It just so happens that the ‘name’ I decided to use with this particular Apple ID is the as the name of my Yahoo account. The only two iCloud services that you can’t turn on with a non-Me.com iCloud account are Mail and Notes. All other iCloud services should work fine. Every time you try to turn on Mail or Notes, when using a non-Me.com Apple ID, you’ll be prompted to create a Me.com email address. If you want to access Yahoo (or other third-party) mail on your phone, add it as a separate account under Mail, Contacts, Calendars in Settings, as I’ve done above. You can also use your non-Me.com ID for FaceTime and iMessages, too. You aren’t forced to use the same Apple ID for iCloud and the iTunes Store on the same device. Not having to do this is a good thing, since Apple does not offer any means of consolidating or merging two Apple IDs into one, so you could lose past purchases if you were forced to use only one identity. Another benefit of this is that you can manage all of your family’s iTunes purchases from one iTunes account. You can configure several Apple products to all share and use the same iTunes account for the App, iBook and iTunes Stores. In the past, you were allowed an unlimited number of iOS devices, and only five Macs. Now, you’re allowed up to 10 Apple products total for each iTunes account, and that can be any mix of iOS and Mac devices. At the same time, you can use a different Apple ID for iCloud on each family member’s device; plus the head of the family can still use that iTunes Store Apple ID for iCloud, too, if they’d rather keep things simple on their own private device. Why can’t I use my existing .me account to turn on Notes. I don’t want to keep track of any more accounts or ID’s. It seems like everything I do with iCloud requires either a new Apple ID or a new .me account. I always tell people I like Apple products because they’re intuitive! iCloud has made a liar out of me. Must one purchase an ios device to use icloud? Had a macbook stolen a year ago and a lot of music wasn’t backed up. The ability to re-download the itunes purchases is all I’m interested in at the moment, but I can’t see a way to do it with my new and expensive imac alone. My husband and I each have an iPhone 3G, I also have an iPad. I have created separate .me accounts for each of us. Why do the contacts on my phone end up on his phone? Is there a way to keep the contacts separate? Hello! We have four devices on the same apple ID. We want to be able to use the iCloud features, but I don’t want the calendar and pictures streaming from my husbands phone to mine. Plus it would be nice to not have to share the iCloud space. Can I create a new apple ID for my iPhone? How? Is there a way that I wouldn’t lose everything that’s on my phone including all apps? I appreciate any help! Thank you!!! I would tend think about it the other way. Keep your iTunes account in tack, for that is where your purchases are. Use the Apple ID with the iTunes account on all of your iOS devices. You can always change the name and primary email address of the Apple ID associated with the iTunes account you are using for your purchases to anything you desire. Something non-personal. Create a new iCloud account for the people using the iOS devices. Mail, contacts, bookmarks and calendars can all be backed up and restored individually without any assistance from Apple. Ok I want to change my primary email on my apple id from my Gmail.com to my newly created me.com one. Its not letting me any suggestions? There seems to be a relationship between the ‘name’ of a Apple ID and the primary email of an Apple ID. It may be that you have a second Apple ID that you were not aware of that IS your same me.com address. Try logging into the Apple ID site with both of your Apple IDs and see if you do have two Apple IDs instead of just the one you think you have. What if you do want to use the same ID and email address as used for iTunes? I’ve tried to use use this ID and it tells it’s incorrect? I’ve tried resetting my password to no avail. Resolved now, had to change my ID to an email address – thanks. What about those that have both iPad and iPhone and want to use find friends to track either device. You may have grown to love your Apple products, but they are not your friends. Seriously though, what you are looking for is a way to track all of the devices you have. For that, you would use the Find my iPhone App, not Find my Friends App. Find my iPhone will give the present location of all of your devices. If you use Safari to send an email from your yahoo account, contacts from iCloud aren’t synced there. How would you send an email to someone that you’ve created a contact on your iPhone or iPad and is now synced on iCloud? If that was my primary way of interacting with Yahoo! Mail, through a web browser, then I would have configured my device to use Yahoo! contacts instead of iCloud contacts. You can even configure Address Book on your Mac to use Yahoo! contacts instead of iCloud contacts. The one question I haven’t seen answered is this: what about PPC users? We’re stuck on MacOS X 10.58. I’ve been a MobileMe user for a long time, already my calendar sync is broken by recent changes that required users to convert to WebDAV. Now it looks like there will be no way for PPC users to continue using iCloud after MobileMe is discontinued. It looks like I’ll have to buy at least one iCloud-capable device in order to keep my mac.com email address. Hell, if I could afford a new Mac, I would buy one. I’m still using a last-generation PPC Quad G5 and a last generation PowerBook G4, and an original iPhone. I Wish I had a better answer for you, but I do not. It would not be PPC users, but anyone that cannot install and run OS X Lion 10.7.2 or iOS 5.0 or greater. And yes, that would most certainly include anyone with a PPC. Once everything is sorted out, you should be able to access iCloud’s mail, calendar and notes from the Mac Mail and Cal Applications. If that never gets working properly, you could consider running Fusion and/or Parallels to launch into Windows and use the iCloud integration from there. But even Windows users need to be running Vista SP2 or W7. XP users were not invited to the iCloud either. What is the program on the first picture? Thanks. Why didn’t they just put something like this in the first place. Just about everyone shares a purchase account. One more. I have exchange, yahoo and now iCloud. How do I get all my contacts in sync? The screenshot was taken on a Mac of Safari looking at the icloud.com web site. I removed the tab, tool and status bar in Safari to streamline the shot.